Jessica and Leo had turned up at my place around 8.30am and opened presents here before we went to my parents place. They spent Christmas Eve over at Jono & Kelli’s place. The only drama of the day was when my brother in-law Ed cut his finger while slicing the ham, Ed is a big help on Christmas Day he slices all the meat for mum most of it is done using the meat slicer mum has but the ham he was doing with a knife. He had only just sharpened the knife moments before cutting his finger; I was talking to him when he did it. I had a few drinks while at mums but nothing else when I got home didn’t feel like having any more grog, I am not much of a drinker. Today I am home alone as Tim is working in Sydney he will be home late around 10 or 11pm me I will be in bed by the time he gets home. 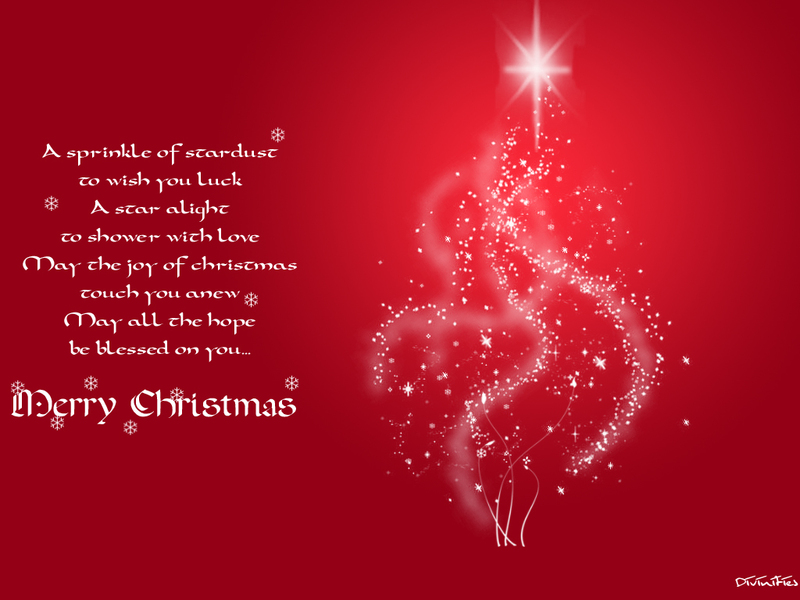 Have a wonderful Merry Christmas and a Happy New Year with your dear family and loved ones! May you pause for a while to fill the love from our Heavenly Father within your heart. so we won’t be the same. We shall live again! Praise the Lord! Let the water of life overflow like a waterfall! let there be possible, and excel your achievements! God may always touch your lives with many blessings. Christmas cards do you send them to people or isn’t that you maybe you’re not a Christian and that is fine too not everyone is and that is fine with me. If you do send Christmas card do you send many or only a few do you have a list or play it by ear. Each year I get some personalised cards made up with photos of my family on the cover, and I also send normal Christmas cards to some people and I have even had cards printed up for my parents and my sister as well. I have a bunch of cards hanging on my wall but I expect to get more during the week, oh yeah I also like to buy special cards for my parents and daughters and usually for Tim as well. After I take Jessica & Leo home I will have to sort through the presents I bought on Friday and Saturday so I am hoping she doesn’t take forever to get up and yes I know it is already 10.20am but hell me and Leo have been up since around 6.30am. I have done a couple of loads of washing and sorted out the weekends washing and put those clothes away and made a phone call to Hamper King was on hold waiting 40minutes for them to answer……….. I had to share this here as well as on my other blog I don’t usually do the same post on both blogs but this touched me so much that I am doing that now……………. What do you say when Thank You doesn’t seem enough, this is how I feel about the birthday gift I received in the mail by my wonderful blog friend Bethany: http://projectwhitespace.com this is a couple of photos but they are not the best but anyway not to worry. The gift was a gift certificate from Indulgences Beauty Therapy: http://www.indulgences.com.au now I knew she was getting me a gift ceritifcate but I was only expecting it to be maybe $20 or $30 and what do I get a $100 voucher damn when I saw it I felt like crying. Anyway this morning well midnight to be precise I woke up to go to the toilet and notice Little Leo in bed with me and Tim and when I walked into the hall way I noticed Jessica sitting in the lounge room I asked her why she was here and she said she had been out at Kelli’s place (her cousin) and couldn’t be bothered to go all the way home to Swansea so came here to crash for the night. When Tim got home this afternoon he asked my when did Leo and Jessica arrive last night, all I could remember was that she said something like around 10.30pm but since then Jessica has told me he was still up when they got her e but he doesn’t remember that. Jessica said that she and Leo will be back here again tonight as they have been out with Jono, Kelli & their boys “My Blain” and Daemon. Those of you who do not know the ins and outs of my family “My Blain” is my grandson, Daemon is his brother, Jono is his dad and Kelli is my niece Jono’s partner and Daemon’s mum. To add confusion to this Leo has a habit of calling Jono “dad” even though he isn’t his father and Leo knows this he will tell you that “dad” is really Blain’s dad not his. It is Blain’s 7th birthday today and it has been a beautiful day which is one of the reasons they decided to take the boys to the beach. It is only 7.40pm and Tim is asleep in his armchair in fact he has been asleep for about 20 minutes. I do not understand why he doesn’t go to bed instead of falling asleep in his armchair, if I was to do that he would be at me to go to bed…………………I just leave him and when I go to bed I will leave him where he is………. I just sent Jessica a message telling her if she wants Leo to sleep in my bed tonight then she has to make sure he has had a bath since I only changed the sheets today.